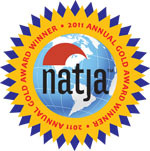 Photography is a curious amalgamation of art and science, the use of modern techniques, and often highly technical equipment, to achieve a visually pleasing image that will hold the viewer's attention, maybe even cause a sudden intake of breath or an involuntary exclamation. When setting out to take good photographs, especially of wildlife or landscape subjects, it is useful to anticipate the hoped for response of the future viewer in order to determine what will create the required reaction. It is perfectly possible to photograph the same lizard, ruined building, or sunlit escarpment in a variety of ways resulting in a range of results, from quick lifeless snap to powerful thought-provoking image. If the aim is to produce a photograph that will hold the viewer's attention for more than a millisecond, then some knowledge of photographic technique and one's equipment are pre-requisites, and as Suzio states in his preamble, a basic knowledge of photography is a given here. Armed with that background, so one can function with a camera as one would when driving a car, automatically and without the need to check how to change f-stop (or indeed what an f-stop actually is) then the photographer is ideally placed to learn how to take stunning photographs. This is where Dan Suzio's book will come into its own. Taking Death Valley, a place he has haunted for decades, as his canvas he takes the reader through all the other factors, such as how to set up shots and what sort of camera equipment to bring with you, good lighting, climatic conditions, the best months for certain flowers or birds. 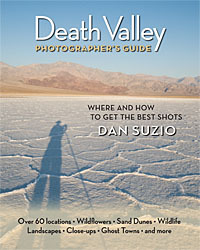 Suzio is generous with his hints and tips and even his favourite locations within Death Valley. The book is also packed with awe-inspiring images of the "I wish I had taken that" type. The point being, you could take that photograph, armed with the knowledge and skill learned within these pages. The second part of Suzio's book takes the reader through every Death Valley location where he has taken photographs, discussing access, best time to visit, possible subjects. Much of this information is then summarised in a very useful location chart and index at the end of the book. There is also little point in filling a digital camera with fantastic images if the photographer does not survive to download and publish them. Suzio therefore devotes space to important, but oft overlooked, issues such as water in the desert, suitable clothing to survive temperatures that would fry an egg, and properly equipping one's vehicle. He even ventures into more mundane areas such as where to stay and eat. Although this book is devoted to just one famous U.S. destination, the lessons learned from it might just as easily be applied in other wilderness locations around the world. 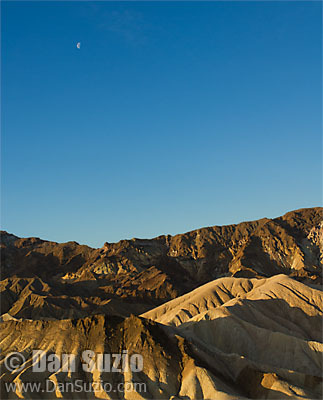 It is not necessary to go to Death Valley to experiment with wildlife or landscape photography, nor to benefit from Suzio's knowledge and experience. One thing is certainly true though, you won't take good photographs until you go out and press the shutter a few times. 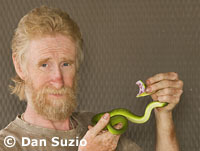 Mark O'Shea is a herpetologist, photographer, author, and TV star.